You are invited to the annual Bethel Legislative Breakfast hosted by the Bethel Chamber of Commerce. It’s set for Monday, February 25th at 8 a.m. at the South Street Fire Station. The event will feature presentations from our State Senators and Representatives: Senator Julie Kushner, Senator Will Haskell, Representative Stephen Harding and Representative Raghib Allie-Brennan. Opening remarks by Bethel First Selectman Matt Knickerbocker. Breakfast is from O’Neill’s. 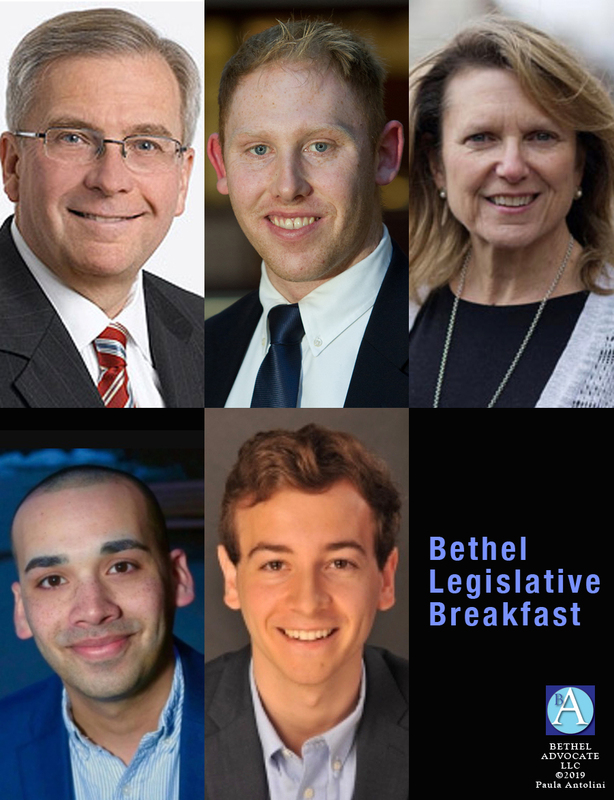 Come enjoy a great breakfast, learn about the focus of our elected representatives, ask questions and voice your concerns and priorities for 2019. Just $15 for Bethel Chamber members and guests and $25 for non-members. Please REGISTER HERE at the Chamber event page at discoverbethel.com.